Congratulations to the Newark High School Girls Volleyball Class 1A state championship team! 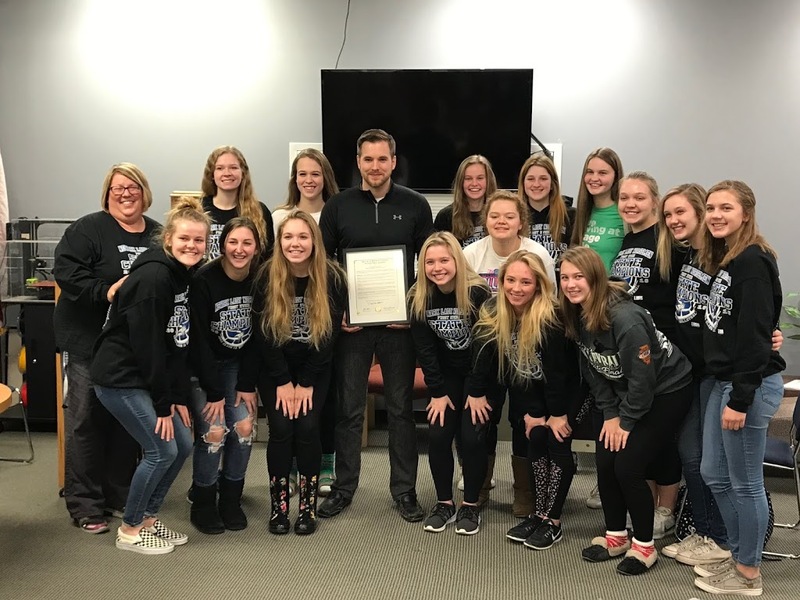 I had the privilege of presenting the team with an official House Resolution honoring their achievement. Go Lady Norsemen! To read the full text of House Resolution 1306 honoring the team, please click HERE.